Since E3 I’ve read an excessive amount of speculation that Sony has given up on indie titles; luckily, I’m here to say that isn’t true! Last week it was announced via the PS Blog that indie RPG The Tenth Line is coming to PlayStation 4 on June 27. Let’s start with the gameplay trailer, shall we? The Tenth Line was developed entirely by a single person, Elliot Mahan of Sungazer Software. He states in the PS Blog that this is his first commercial project – what an impressive one! A combination of RPG and platformer, Mahan takes a lot of his inspiration from the PlayStation RPGs of the late ‘90s; this inspiration is incredibly evident in the retro-styled sprites and smooth, colourful backgrounds. The game takes place in a world populated by humans, beasts, and dragons. All species are struggling to coexist after the assassination of a king. The player takes on the role of the princess of Easania, who is running from a cult. Battles are turn-based (be still my beating heart) with an “active timing” element. Each character has specific skills that can be carried out with a well-timed press of a button. The Tenth Line features a “light” difficulty mode for those who prefer a more traditional RPG experience, as well as a “story” difficulty mode that keeps the exploration and story intact while removing/simplifying enemy encounters. Oh, and there’s a collectable card game, because what RPG would be complete without one? The game will retail for $12.99 USD with a 20% discount for PS+ members during launch week. 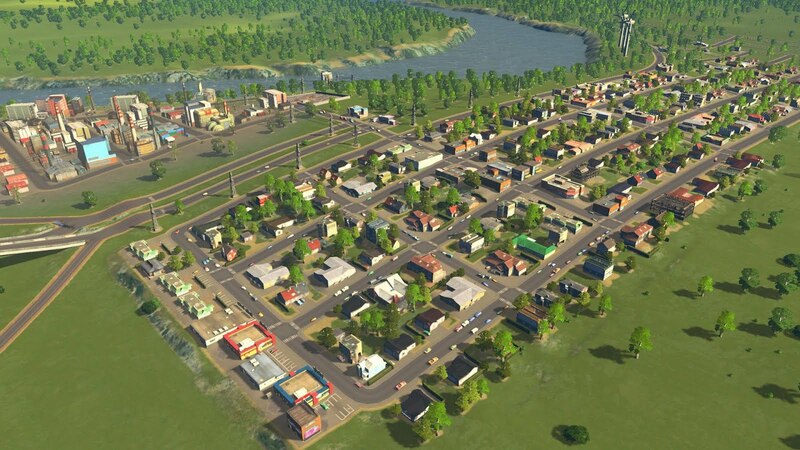 Cities Skylines is coming to PS4! With EA having let the Sim City franchise tragically fade out of our consciousness, the city builder baton had to be passed somewhere. This is a genre that people genuinely love, after all, and there will always be a market for it. Paradox Interactive stepped up to the plate with Cities: Skylines, and it is a truly wonderful game. Originally released on PC, it was recently ported to Xbox One, and we’ve all been sitting here waiting for the inevitable, which has finally happened; the game is coming to PlayStation 4 as well. On August 15, to be precise. What’s more is that there’s an Aussie connection in there because the PS4 port is being handled by Tantalus, a local developer. It looks like it’ll be a straight port with nothing to differentiate it from its Xbox One or PC cousins, but that’s okay. The game is brilliant, and for PS4 owners it’s better late than never. For those who may have missed out (HOW?! ), This War of Mine is what I believe to be the perfect example of a war game. There’s a little bit of violence, but only if you so choose. The game focuses on civilians trapped within their city after an outbreak of war. They must work together to scavenge, build, and defend themselves from the terrors of the outside world while still dealing with the emotional repercussions of what has to be done in order to survive. The update brings new characters, new locations, and a new ending that leads to a different outcome. I wouldn’t bet on everything being okay, though… that’s not war. The Anniversary Update in in celebration (what an odd word to use in relation to this game) of This War of Mine’s two-year anniversary. Matt S. reviewed the game for Apple iPad upon its original release. Since then there was been DLC added, titled The Little Ones, adding children to the mix because the game needed to be even more difficult to bear emotionally. If the Anniversary Update still isn’t enough for you, there is a This War of Mine board game currently being shipped to Kickstarter backers, soon to be released worldwide. I have my copy, so I hope to share what it’s like with everyone soon enough! So that Dynasty Warriors 9 is looking good, innit? We were promised that Dynasty Warriors 9 would be the most ambitious and impressive Dynasty Warriors to date, and it looks like Koei Tecmo isn’t letting us down; a new trailer suggests that the ambition to make the game open world is real and genuine; i.e. this really will be an open world Dynasty Warriors game. How the hell Koei’s going to tell the three kingdoms story through that kind of setup remains anyone’s guess, but in addition to the gorgeous open world we’re also promised a completely new combat system that provides for a greater flow in the fast action that the series is renowned for. This one’s out later this year, and I’ve got to say, after the spectacular first half of the year, if anything at all is going to top it, it will be Koei. The Warriors series has been changing – and improving – in leaps and bounds with every new release for quite some time now, and this is certain to be the biggest budget, highest production that Koei has produced in quite some time. I can’t wait.